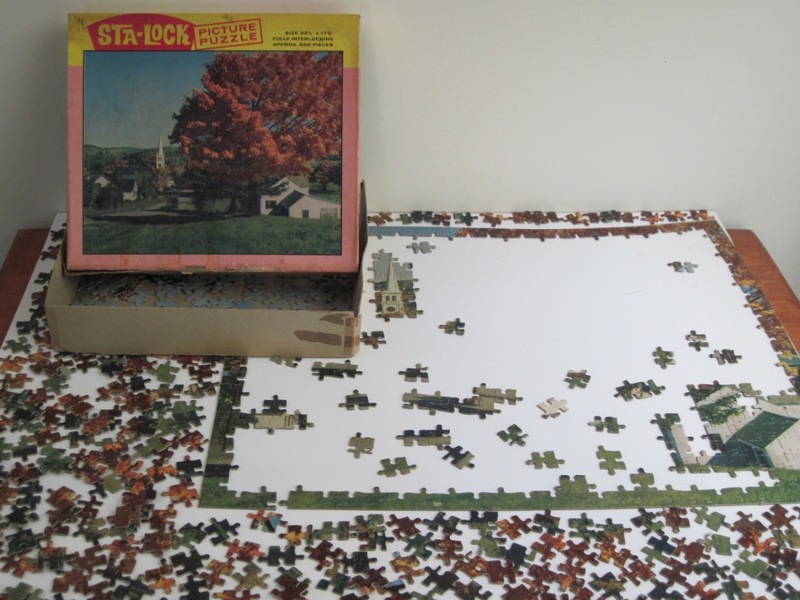 September 8, 6 – 8pm, Puzzling Night – Calling all jigsaw puzzlers! Help us put together Peacham jigsaw puzzles, all 23 of them! We’ve finished one and are working on puzzles two and three. Drop in for a few minutes or the evening. September 8, 6:30pm, Peacham Knitters – Bring your knitting or other handwork for an evening of creativity and chatting. New knitters are welcome to come for help and encouragement. September 11, 7pm, The Battle of Plattsburgh – Ron Crisman will present, on the bicentennial of the event, a brief history of the battle and the role of The Eagle in the battle that ended the final invasion of the northern states during the War of 1812. A model of The Eagle and other information on the battle are on display at the library through September. September 12, 9:00 am, Preschool Story Time – stories and crafts for the young and their caregivers. September 12, 10am-noon, Coffee Hour – join us for a cup of coffee or tea, a sweet or two and good conversation. Suitable for all ages! September 13, 1pm, Herb Club at the Community Garden at the St. Johnsbury Hospital – Join us for an herbal garden tour and Town Forest herb walk with herbalist, Lorraine. Rain Date September 20th. Reading Challenge — The new chart goes up this week for all to track our community reading. What do you read? Will the adults read more than the children? Remember, reading to someone counts for all who read or hear the book! Join the fun, add your books to the chart.